Many people are fond of not securing their passwords. IT managers usually have a hard time securing user accounts. 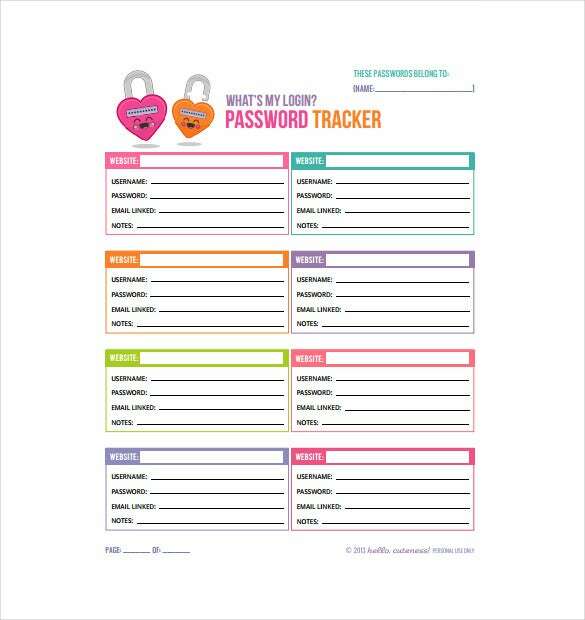 However, to make their work easier, they can use the password spreadsheet template. This is a document listing all the user accounts and their passwords. 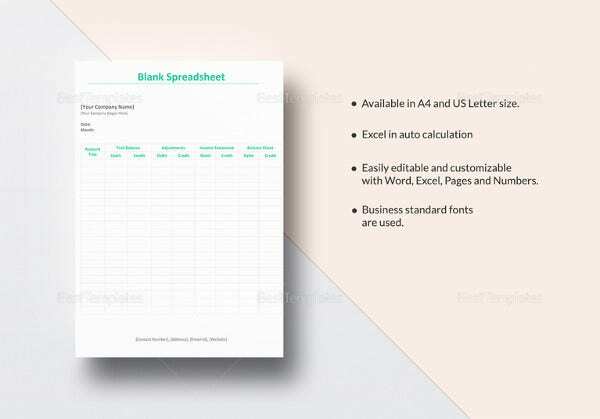 The free password spreadsheet template can easily be created using spreadsheet software. 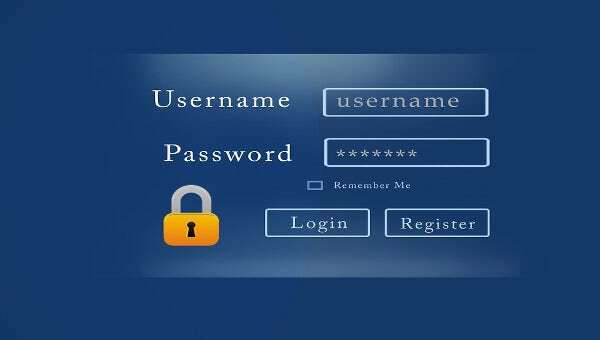 Simply create two columns and fill in the user account details and their passwords. You may like Tracking Spreadsheet Templates. But it is recommended that you download a copy from this page to make your life easier. You can then edit it accordingly as per your wish. When a user submits a query on their accounts, use the document to easily access their login details and initiate the process of resetting the account. But if they can’t remember their passwords, this document will help them with password recovery. You may also like Spreadsheet Templates. 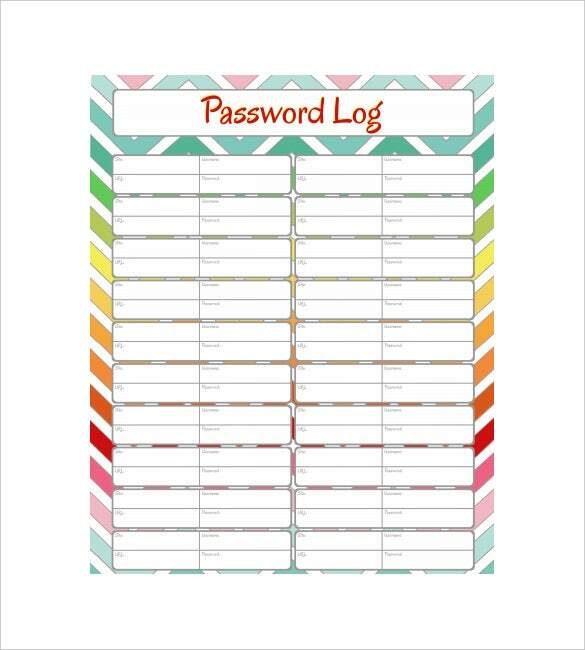 The password log spreadsheet template in excel format helps you in keeping a good track of all the important log in passwords without missing any of them for your accounts. This template can also be edited. You may also see Excel Accounting Spreadsheet Templates. Why Do You Need Password Spreadsheet Templates? Therefore, making the basic use of password spreadsheet templates makes it very easy for the individuals to have their passwords stored in one definite place. This helps them in getting hold of their passwords almost anywhere and at anytime without having to go through a lot of hassle. These templates allow the users to keep a track of their login information in the most organized manner. When Do You Need Password Spreadsheet Templates? 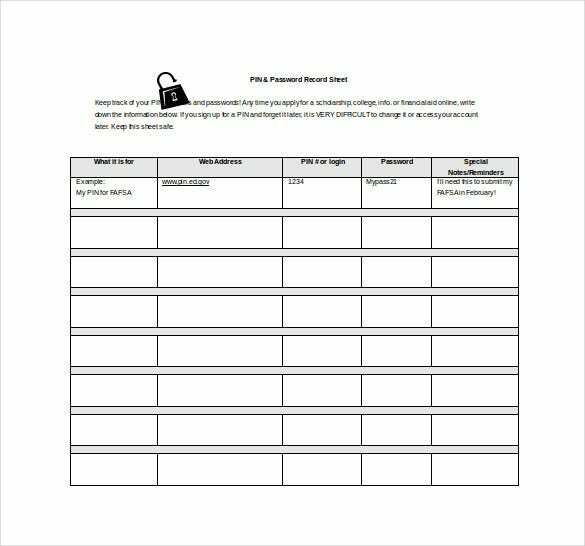 Therefore, the best option that people can use for keeping a track of their complicated passwords without compromising with the security and safety of their passwords is using password spreadsheet templates. 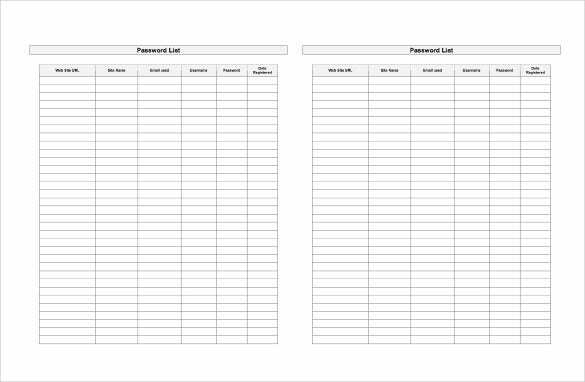 These templates help in organizing passwords in the most secure manner so individuals can create complicated passwords without thinking of their storage requirements. What Are the Benefits of Password Spreadsheet Templates? Making the best use of password spreadsheet templates is advisable for ensuring the security and the safety of complex or easily predictable passwords.